Outline Brief The above client contacted us with a view to increasing their storage capacity in their distribution warehouse. We subsequently installed a new mezzanine floor which was of the warehouse for picking and packing of their products for their online distribution service around the world. They also now have spare capacity to expand into in the future. 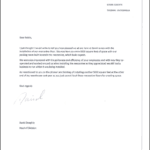 This project was completed within 3 weeks, on time and in budget and the client was delighted with the finished project prompting them to send us a testimonial letter.